For 50 years, Emerson and Supreme Integrated Technology, Inc. (SIT) have been a world‐leading, trusted provider of marine automation technology and global support services. In North America, Emerson and SIT have successfully delivered a host of turnkey hull systems to owners and operators of offshore vessels and platforms throughout the world. Vessel types include, but are not limited to; tension leg platforms, F(P)SOs, cruise ships, semi‐submersibles, drill ships, container ships, tankers of all sorts, and semisubmersible heavy lift vessels and barges. 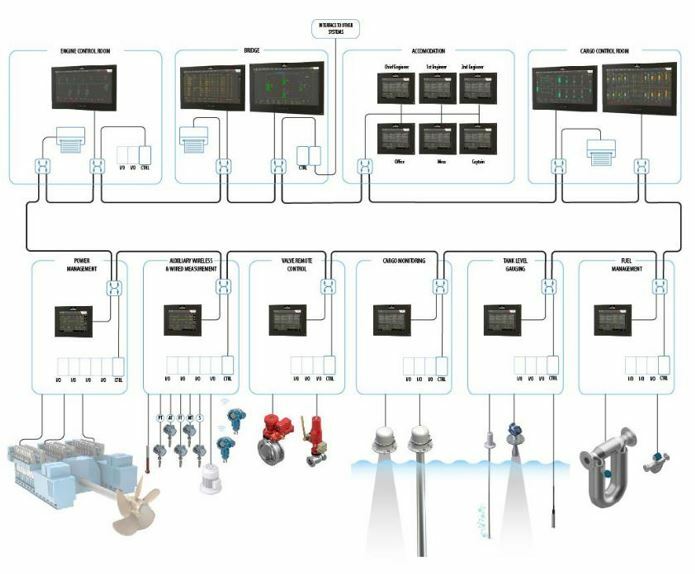 Danfoss Marine Systems (Emerson) first partnered with Shell in 1988 to supply what would become one of many project specified ballast control and production manifold remote valve automation packages. Emerson and SIT have extensive experience and capabilities in the deep-water market. We execute a holistic approach that addresses not only design and performance, but also the supporting resources critical to sustaining success. Technologies are constantly improving and changing, making it difficult to know what products will ultimately be phased out. Emerson’s protocol is to plan for technology obsolescence and provide clients with notice years in advance of phasing out products. It is only by incorporating asset lifecycle support into daily business routines that a company can achieve optimum performance and full asset potential. With this approach to asset management, clients can focus on the day‐to‐day asset operation. Contact us today to learn more about our deep-water capabilities.